What Looking to find an outlet for the arts? Embrace the tabula rasa this weekend and let yourself lose brushstroke after brushstroke, as local artists Lim Pin Han, Milon Goh and Ng Fongyee, host an intimate ‘Drink & Paint’ session for arts enthusiasts at the Plot gallery space. Following a successful launch party, the exhibition showcases an eclectic myriad of works created through the medium of analog photography, highlighting the peculiarities of the everyday and understated parallels between life and art. Accompanying the evening will be a pop-up by The 1925 Brewing Co and Rachelle the Rabbit with unique tipples to supplement your artistic venture as well. To be surrounded by art as you make art—now doesn’t that sound like wholesome evening well-spent? What Where independent brands from all over Asia congregate this weekend at Suntect Convention Centre, the annual Christmas market is the place to be for all you merry fellows to get started on your festive shopping. Sporting an array of unique gifts and trinklets, expect pop-ups by Indonesian home designer (@tigahhome), Hong Kong based cheongsam designer (@yanshangkee), as well as the launch of Thai bag designer’s latest collection (@justincase.online) just to name a few. With an array of designers and their exciting products parked under one roof, this surely is event not to be missed for the discerning shopper. What No one does artisanal products as well as the Nordics do, and with Christmas right around the corner, it’s time to start shopping for your inner-circle. The annual Nordic-Asia Christmas Market will feature bespoke products and wares from independent artists, farmers and designers from Norway, Denmark, Sweden, Finland, Iceland, and Estonia. Alternatively, immerse yourself in a multi-sensory VR experience that will take you through the streets of Helsinki to explore the city. Happening at the Millenia Walk this weekend, head on down to experience a light slice of the Nordics. What 2018 has bared witness to a multitude of celebrations and milestones, but the Gin Jubilee is quite arguably one of the most exciting events returning to our shores. This year’s event features over 40 top bars at Gin Lane—a garden style soiree where bartenders participating will present their G&T cocktails till midnight. Eco-conscious imbibers will also be pleased to hear about their zero-waste efforts, with the event only using recyclable drink-ware and an implemented food waste recycling programme in place. 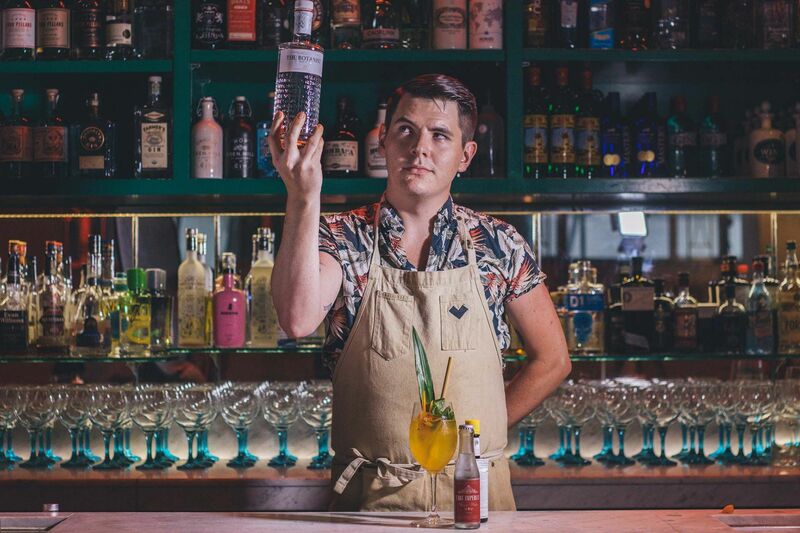 With an exciting series of cocktail faceoffs by expert bartenders and gin launch by a local distillery, it’s safe to say that we absolutely can’t wait for the celebrations to be-gin.